Details: 3 BR, 3 BA with over 1750 square feet. Info: Stunning beachfront condo at the Palms of Perdido perfectly located on the 2nd floor with incredible gulf views from balcony and floor-to-ceiling windows. Low density community with excellent amenities including a billiards room, exercise facility with steam and sauna, etc. Details: 3 BR, 3 BA with over 1900 square feet. 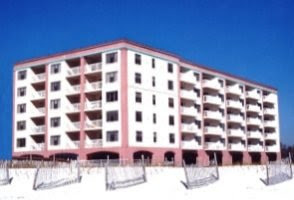 Info: Two story beachfront condo at Eden, one of the most exclusive communities on Perdido Key. The main floor includes one bedroom w/full bath, living/dining area, kitchen and wet bar/ice-maker, tile flooring. The 2nd floor has a master bedroom with floor-2-ceiling sliding-doors at balcony, a large master bath with garden tub, steam-shower; plus a guest bedroom with full bath, bed plus bunks. Details: 2 BR, 2 BA with over 960 square feet. Info: Amazing beachfront condo at Ocean Breeze West with incredible views of the Gulf of Mexico. Nicely decorated with tile floors throughout home, solid surface kitten counter-tops – ideal as a 2nd home or real estate investment.